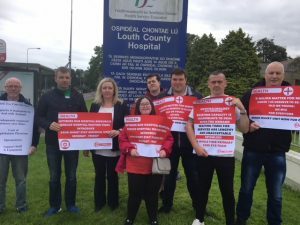 Sinn Féin Councillor Anne Campbell has welcomed the long awaited opening of the Minor Injuries Unit in the Louth Hospital to children from 5 years upwards. 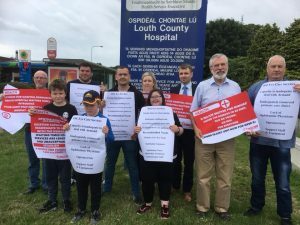 Sinn Féin held the second of their monthly hospital protests on Friday, this time highlighting the need for more surgical beds in Louth County Hospital. 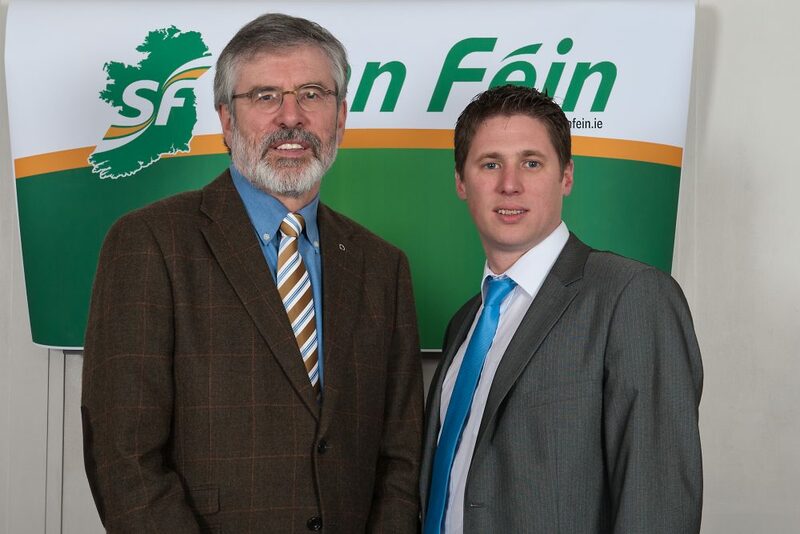 Sinn Féin Louth TD Gerry Adams has urged the Minister for Health to “urgently implement the commitments made in the Dáil on Wednesday night following the successful adoption of a Sinn Fein motion in respect of the National Maternity Hospital and Maternity Services”. 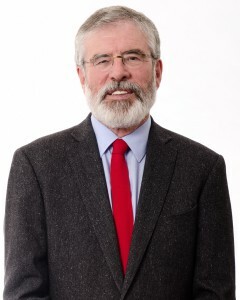 Teachta Adams welcomed the decision of the other parties last night to support the Sinn Féin motion which “set out a detail of proposals for improvements to our maternity services including universal access to foetal anomaly screening, the full implementation of the National Maternity Strategy and a commitment to work with nursing and medical unions in the recruitment and retention of medical staff so that all maternity hospitals meet the Birth rate plus standard for midwifery staffing, as well as international standards for consultant obstetricians and gynaecologists”. 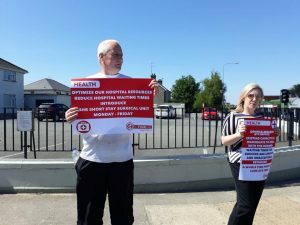 “The ongoing controversy over the ownership and governance of the National Maternity Hospital has put a focus on the provision of maternity care and services. The decision by the Government to give ownership of the new national maternity hospital to the Sisters of Charity has justifiably manifested itself in massive public concern and anger particularly, though not exclusively, among women. It is unacceptable that any religious ethos should determine clinical decisions. The hospital should be held in public ownership and have legally guaranteed independence from all non-medical influence in its clinical operations within the laws of the State. This is a hospital which must carry out treatments such as in vitro fertilisation, IVF, sterilisation, gender reassignment surgery and, in some cases, termination. The notion that the Sisters of Charity must be given ownership of the hospital simply because they own the land is absolute nonsense. There are, as others have said, other options available to the Government and this motion, which will now be passed, will compel the Government to explore these options. The priority must be to get the hospital built as soon as possible on terms acceptable to citizens, particularly women. We cannot continue with a situation where women and babies are treated in antiquated buildings that are not fit for purpose. 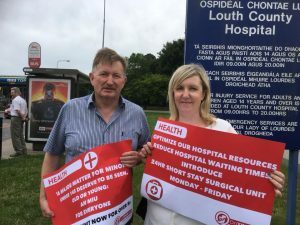 Equally, we cannot continue with the situation where our maternity hospitals are operating at dangerously low staffing levels, where women are treated on corridors and where overcrowding and a lack of resources result in tragedy and upset. That is why a key component of this motion is to ensure that the national maternity strategy is implemented and properly funded.